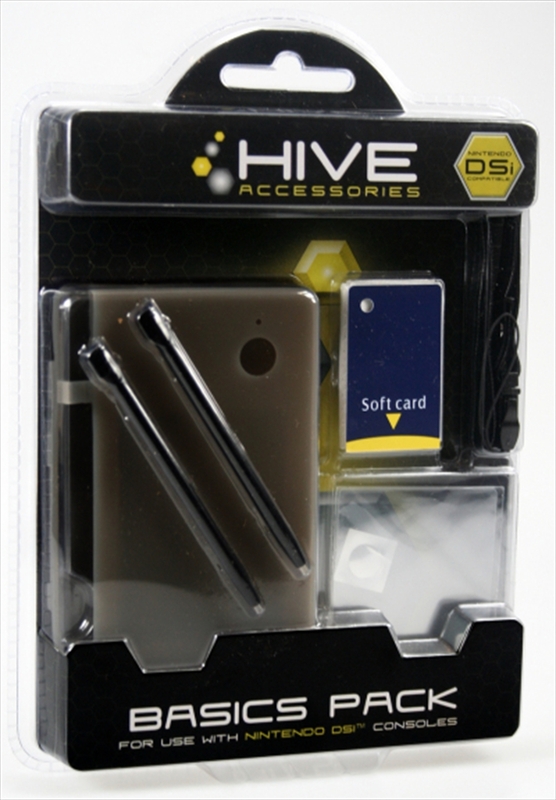 The HIVE Basics Pack will always ensure no matter where you are or who you're playing with, you will always have the necessary accessories to maximize your experience. PROTECT - The silicone console slick ensures that your DSi console is always protected. TOUCH - never be out of touch with the included 2 x replacement stylus. SCREEN - Keep your screen free from scratches and smudge marks with the screen protectors. CLEAN - Get rid of smudge marks with the microfibre cleaning cloth. SECURE - Secure your Nintendo DSi from unexpected falls with a sturdy wrist strap. The strap maximizes the safety of your console during travel or heated bouts of play.